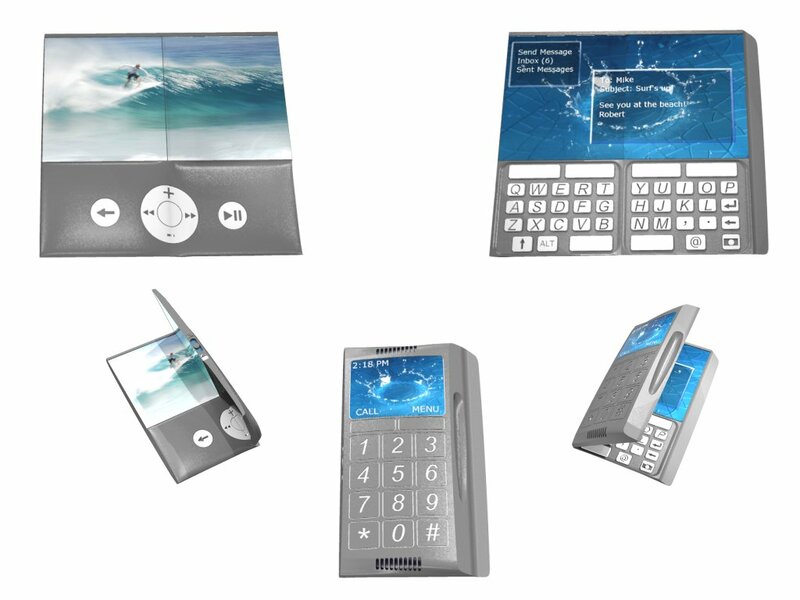 Nalu is a concept mobile phone, portable media player, and text messaging / e-mail device. (Nalu is the Hawaiian word for wave, taking its name from its wave-like shape). Nalu has a double hinged case to provide three different physical user interfaces. The video shows how it works. Nalu from DrppngMadScience on Vimeo. Most mobile phones follow the candybar, clamshell, or slider design style. The problem with these styles is that they leave too little space for user interfaces. For phones, users want a keypad; for texting and e-mail, user want a thumb keyboard; and for media players, users want a scroll wheel. When you try to combine all three interfaces, you get a cluttered and confusing mess. Touch screens are another possibility, but I find that the lack of tactile feedback makes it difficult to type. It's hard to precisely apply pressure to the right key without being able to feel the keys. I suppose that's why Apple is including text prediction in the iPhone. Nalu has a double hinged case to provide three different physical user interfaces. 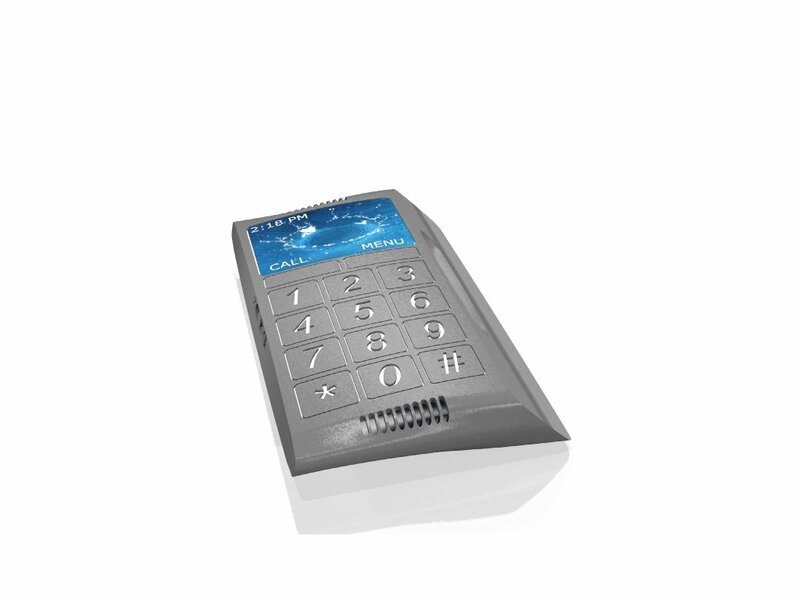 Each user interface is designed for a specific function. Users fold or unfold the design to reveal one interface and hide the other two. 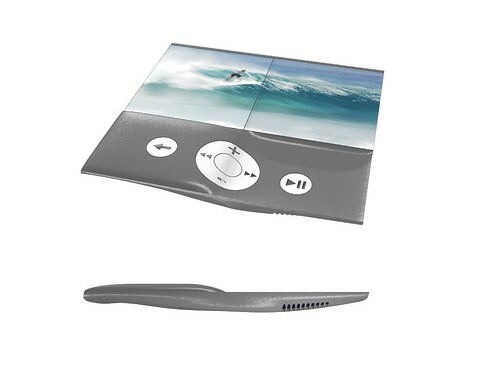 By opening the phone on the left side, the design unfolds to a widescreen media player with scroll wheel. 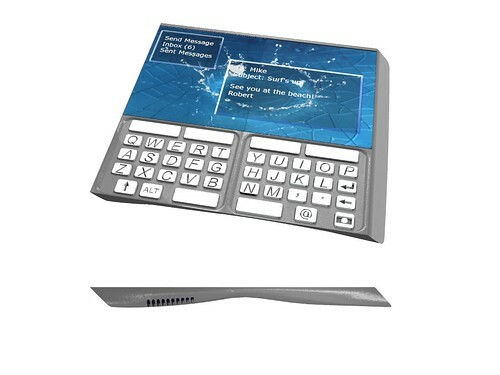 By opening the phone on the right side, the design unfolds thumb keyboard for texting and e-mail. In the phone configuration, the scroll wheel and thumb keyboard interfaces are folded within the device and hidden. In the media player configuration, the scroll wheel interface is visible to the user and the thumb keyboard is folded inside the device and hidden. In the e-mail device configuration, the thumb keyboard interface is visible to the user and the scroll wheel interface is folded inside the device and hidden. Technically, Nalu is similar to a class of shapes known as flexagons (Nalu is one half of a tritetraflexagon to be precise). Flexagons have a discontinuous profile, with some parts being twice as thick as the other parts. Flexagons are normally made from sheets of paper, so you don't really notice this. However, if you try to make a flexagon from anything thicker, you get a noticeably uneven profile. Nalu gets around this by combining convex and concave shapes. As shown in the video, the center section is convex and fits inside concave depressions of the outer two pieces. This allows the design to have a flush and continuous profile. The thumb keyboard has a flat profile. The scroll wheel follows a continuous surface from the convex center part to the concave depression of the outer part. Magnets are used to hold the parts together. Nalu is my entry to the IDEA 2007 competition. Nalu is patent-pending.